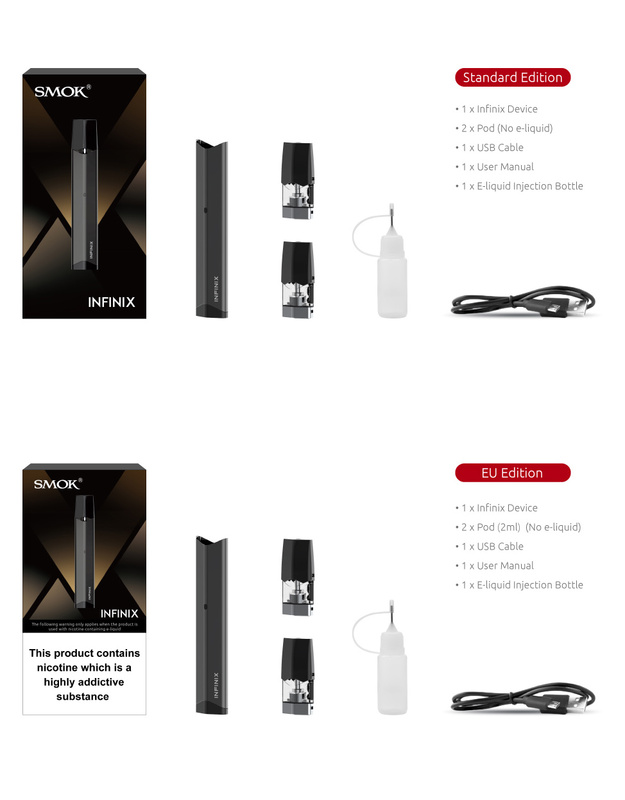 Following Simplicity with the principle of modern philosophy, SMOK presents E-Cigarettes Infinix kit in small unique cube body with its sleek structure for easy portability and use. 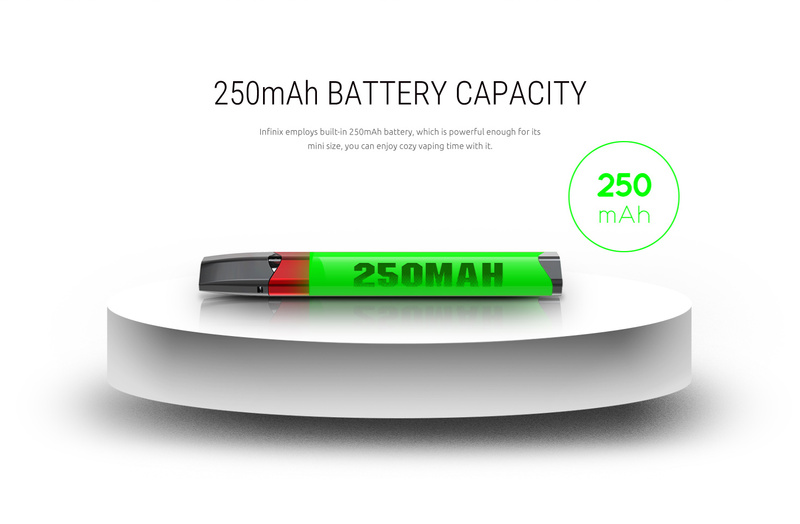 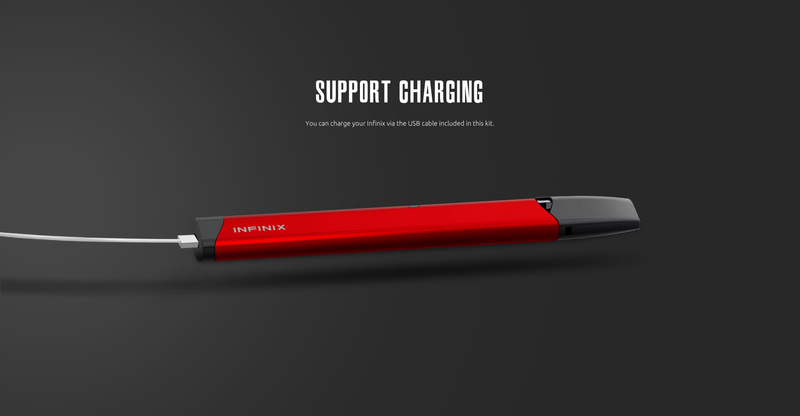 Integration of 250mAh rechargeable and refillable dual air drove 2mL pods with LED light indicator to display instant battery life feedback and is charged via micro USB port conveniently. 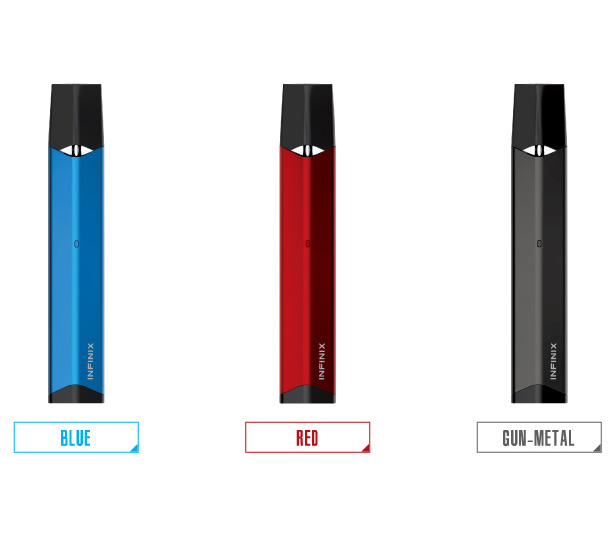 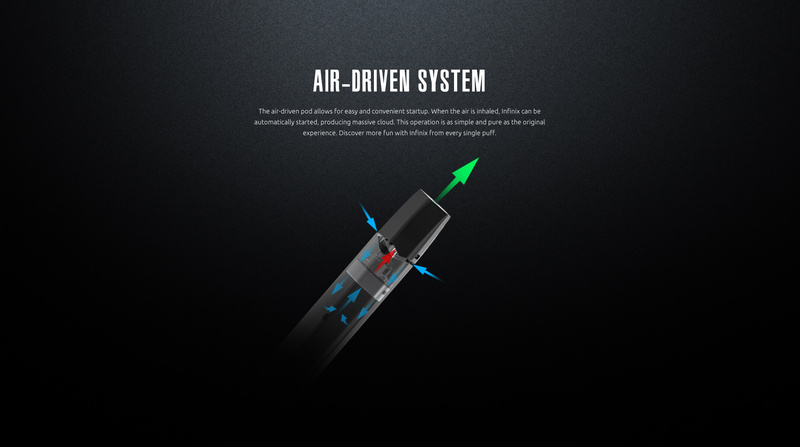 The air driven pod allows convenient startup without the fire key, inhale is the key to produce massive cloud with each puff of chasers. 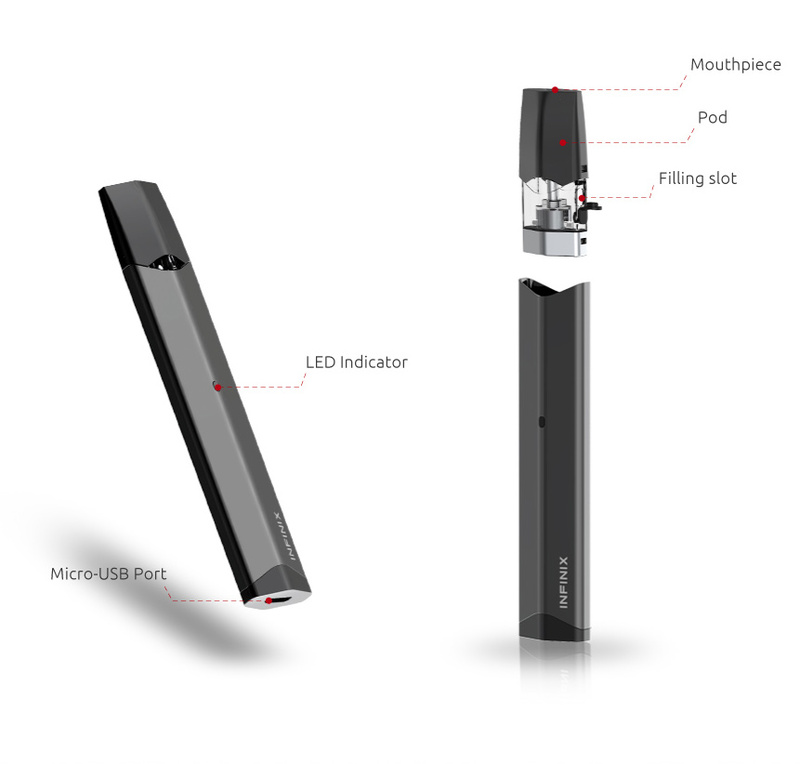 The kit provides flexibility to refill the kit with any e-liquid of your choice for pleasant mood set in. 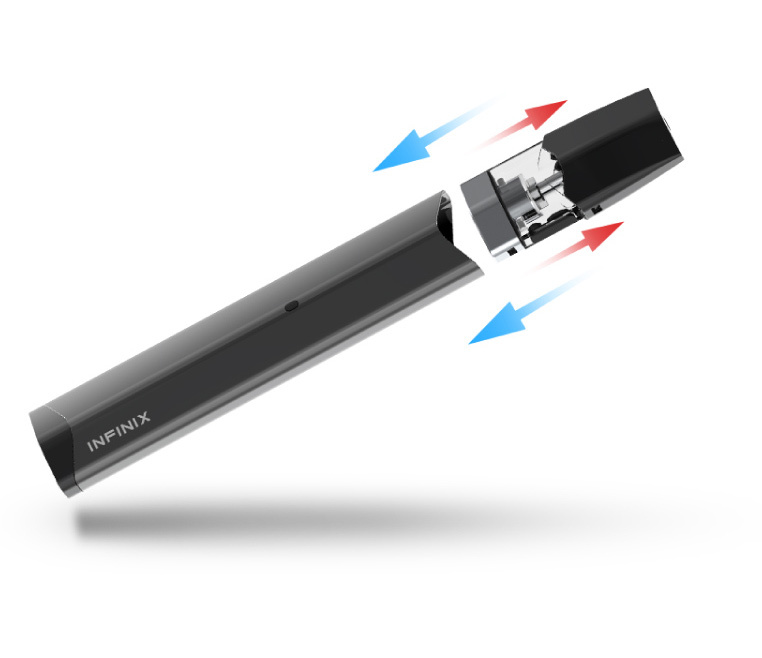 Travel-friendly, Pocket fitted, Simple to use and inhale dense vapor brings infinite pleasure anytime. 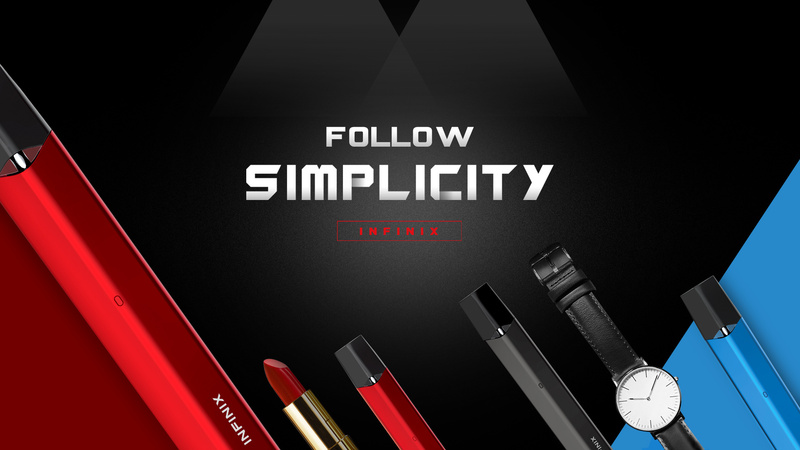 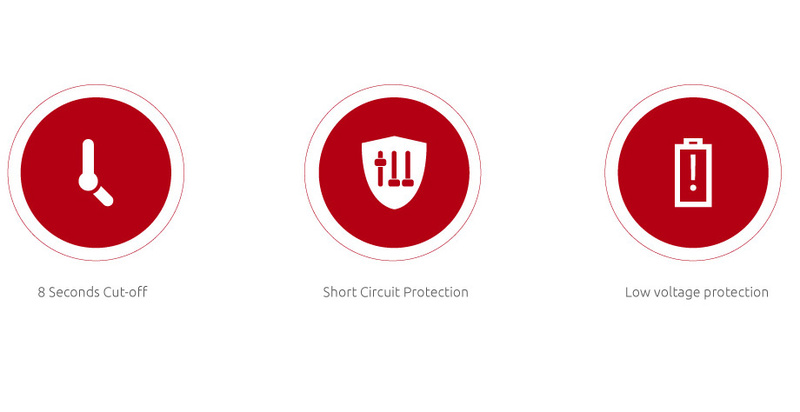 Infinix Kit is available in three colors (Red, Blue, Gun Metal).